The Pointek CLS 300 is an inverse frequency shift capacitance level switch with optional rod/cable choices and configurable output. It is ideal for detecting liquids, solids, slurries, foam and interfaces in demanding conditions where high pressure and temperatures are present. The Digital version (with optional PROFIBUS PA) includes a display and provides additional diagnostic features. The Pointek CLS 300 is offered in standard and digital versions. The standard version has 3 LED indicators with basic relay or solid-state switch alarms. The digital version provides an integral LCD display for standalone use, with PROFIBUS PA communication (Profile version 3.0, Class B) when required. Solid-state switch alarm is standard. The robust design of CLS 300 makes it specifically applicable for heavy solids applications where abrasive materials occur like the mining industry. The fully potted electronics are unaffected by condensation, dust or vibration. Wetted parts are made of stainless steel with a PFA shield for high chemical resistance. Ceramic inserts are supplied with high temperature CLS 300 devices. Materials with low or high dielectric constants can be accurately detected. The unique active shield suppresses interference from material buildup. The unique modular design of the Pointek CLS 300 provides a wide range of configurations, process connections, extensions and approvals to meet the temperature and pressure requirements of specific applications. The modular design makes ordering easier and reduces stocking requirements. 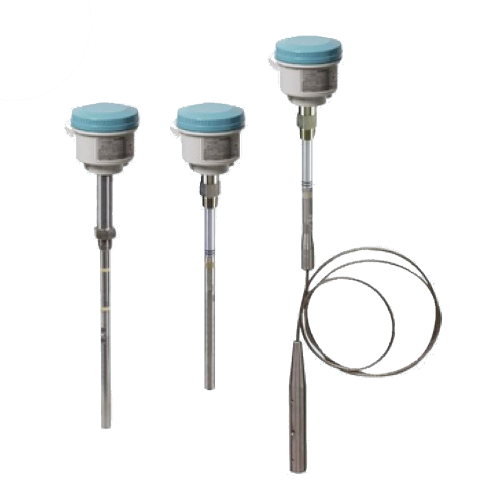 A wide range of probe configurations is available, including rod and cable versions. Inverse Frequency Shift Capacitance Level Switch for Demanding Conditions including Low/High Pressure, High Temperature, Corrosive and Abrasive Materials.Inverse frequency shift capacitance level switch with optional rod/cable choices and configurable output. It is ideal for detecting liquids, solids, slurries, foam and interfaces in demanding conditions where high pressure and temperatures are present; digital version (with optional PROFIBUS PA) includes a display and provides additional diagnostic features. The Pointek CLS 300 is an inverse frequency shift capacitance level switch with optional rod/cable choices and configurable output.